Nashville songwriter Stewart Bronaugh played with drummer Joshua Jaeger in Angel Olsen‘s backing band and the pair together make up Lionlimb. Shoo is the duo’s debut album and follows on from their warmly received debut single ‘Turnstile’ last September. 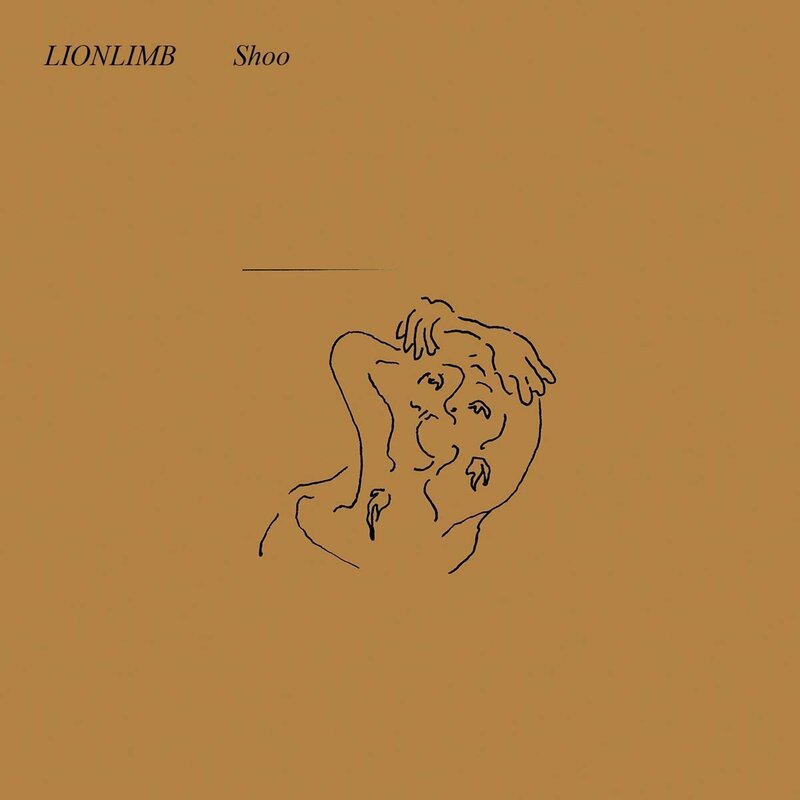 Early (unreleased) Lionlimb recordings tended towards the lo-fi, and charming though the likes of ‘Here We Come’ and ‘Rot’ were, the album is a considerable shift to an altogether more polished sound, punctuated throughout by gorgeous Fender Rhodes piano and saxophone. For anyone familiar with those older songs, the album will be an absolute revelation. ‘God Knows’ gently builds and eases the album on its way – Bronaugh’s vocals, part Elliot Smith, part Felt‘s Lawrence, sit centre stage as they will throughout the entire album, their yearning melancholy perfectly suiting the aesthetic of the music below, before new single ‘Domino’ takes over and carries the mood onwards through what is a very coherent album. The songs may have been written over three years or so prior to recording, (as Bronaugh swapped Chicago for San Francisco and then Nashville), but they sit together very much as a single body of work; some of the credit for this may be down to producer Rob Eaton who has done a sterling job here. Not many hearing ‘Domino’ would perhaps deduce that it was heavily influenced by Amerie‘s R&B classic ‘One Thing’ but according to Bronaugh that is indeed the case. He could have gotten away with that one pretty comfortably! The listener is kept waiting until the start of Side 2 (if you are buying the vinyl) for ‘Turnstile’ and it is more than worth the wait; an extraordinarily great song which is an ideal introduction to the band for the uninitiated – its dramatic piano intro giving way to a wonderful melody complete with the killer lyrics “Your love is a needle/And I stuck it/Your love is a guitar/And I sold it.” It should have been Number 1 for 18 weeks. Before ‘Turnstile’, though, comes Shoo‘s secret weapon, ‘Hung’ featuring lovely vocals from Nina Green. Its slow-burning, jazzy arrangement really burrows into the consciousness after a few listens. ‘Wide Bed’ mines a similar seam of sorrowful regret. Anyone familiar with Birdie‘s criminally unappreciated Triple Echo album will find much to love in Lionlimb; the two bands trading in a similar brand of slightly jazzy, slightly retro sounds. It would be hard to tie this record to a particular era or scene; it exists as if blissfully unaware of whatever else might be out there. ‘Just Because’ is probably the most commercial song on the album, with a playful Ben Folds-like piano riff emanating through its core – it has been shared by the band leading up to Shoo‘s release, and it was a good choice to promote the record despite being tucked away as the penultimate track on the album. Shoo is an impressive debut and one which deserves to be heard by the masses.